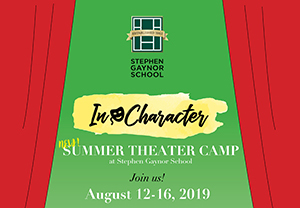 Announcing a brand-new opportunity to sing, act, and dance at Stephen Gaynor School’s In Character Summer Theater Camp! This summer, Gaynor students (and siblings) ages 9 through 13 are invited to participate in Gaynor’s first-ever summer theater camp. The camp will be held from August 12 – 16 from 9:00 am to 2:45 pm daily in the Performing Arts Center. To showcase the campers’ hard work, a final Revue Performance will be held on the afternoon of August 16. The camp will be co-directed by Gaynor’s impressive Drama and Music faculty members, Meredith Akins and Abby Shuppy. Registration and payment are due no later than June 1. Click here for details and to register! Questions? Please email [email protected] or [email protected]. REGISTER FOR THEATER CAMP NOW! Registration is also open for Gaynor’s traditional Summer Camp from June 17 – July 26. Stephen Gaynor School’s summer camp is like no other camp in the New York City area. 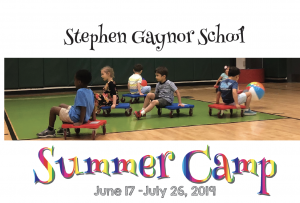 Open exclusively to current Gaynor families, our summer camp allows students in our Early Childhood and Lower School to enjoy a variety of summer activities while maintaining important reading and other academic skills in a structured but enjoyable environment. Both divisions are open to current and incoming students. The Junior Division is for students currently in the Pink, Red, Orange, and Yellow Clusters, and to incoming (new) Gaynor students entering those Clusters. Current EC students and incoming EC students over the age of five will participate in the camp’s EC Division. 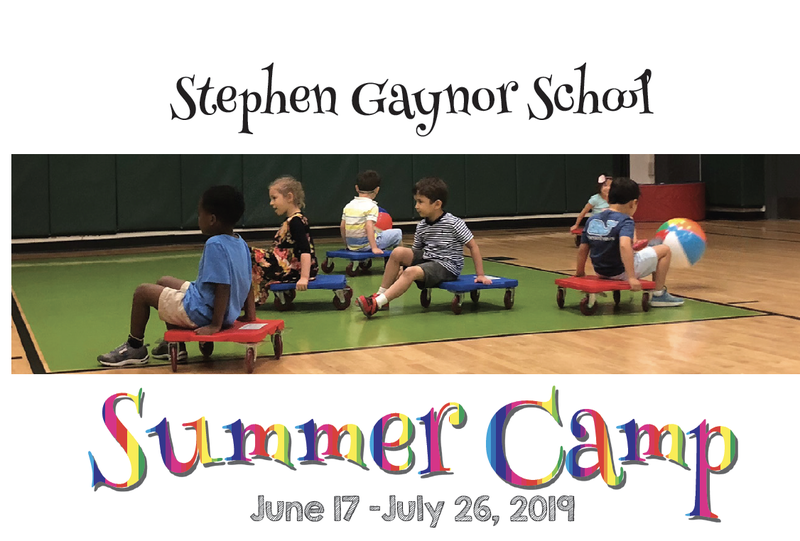 Gaynor’s summer camp is the only camp in the New York metropolitan area with an Orton-Gillingham Instructional Program that has been officially accredited by the Academy of Orton-Gillingham Practitioners and Educators, and it is available only to Stephen Gaynor School families!